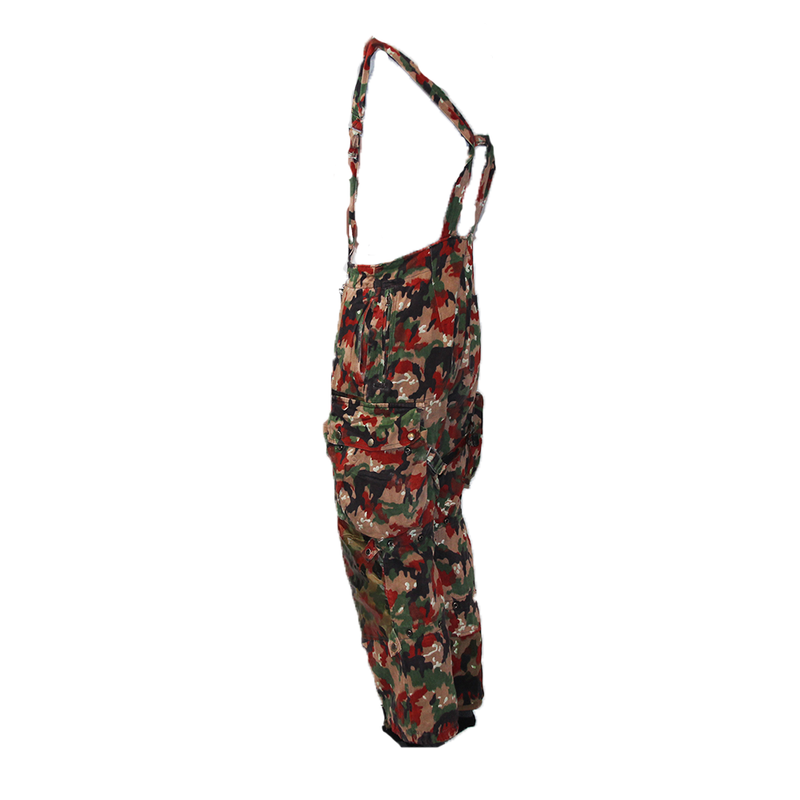 Developed from the original 1950s era "Vierfruchtpyama" (literally "four fruit pajamas") pattern of the Swiss Army, and marketed as "Alpenflauge", the M70 variant is a revision of this classic pattern. First introduced in 1970, this pattern is pretty darn snazy, and works well in a variety of environments, particularly during late summer and through to early winter in temperate climates. 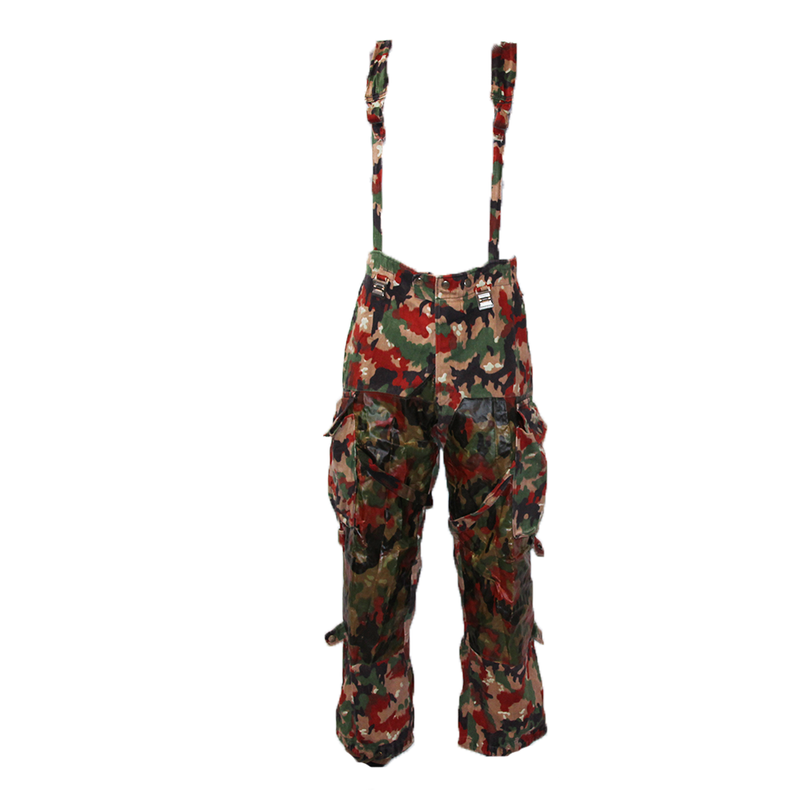 Designed for the harshest conditions of the Swiss Alps, these pants of the real deal. 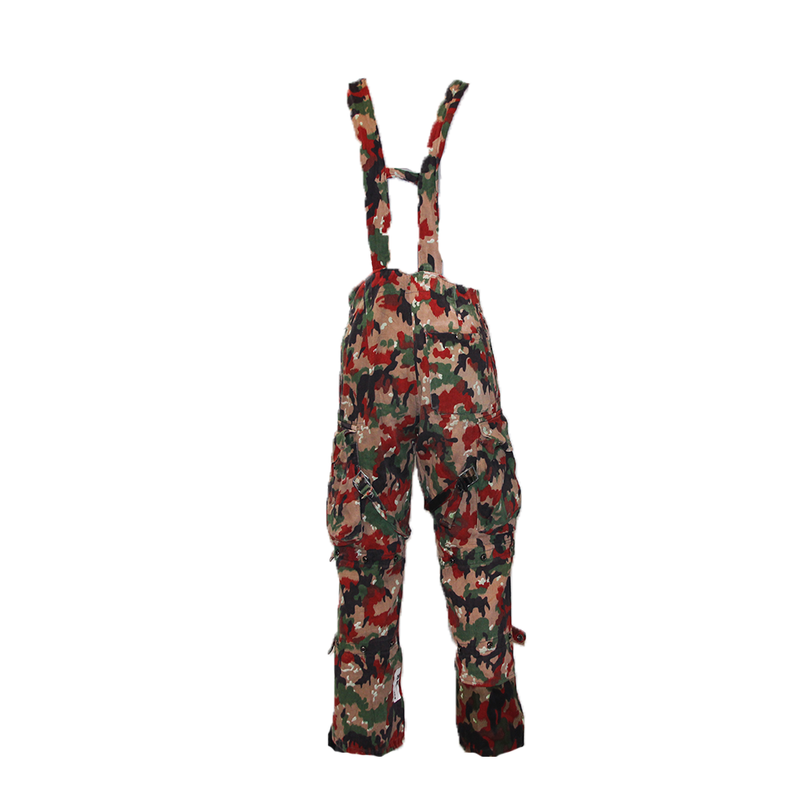 These heavyweight trousers feature rubberized knees, stitched onto a heavyweight cotton with suspenders. 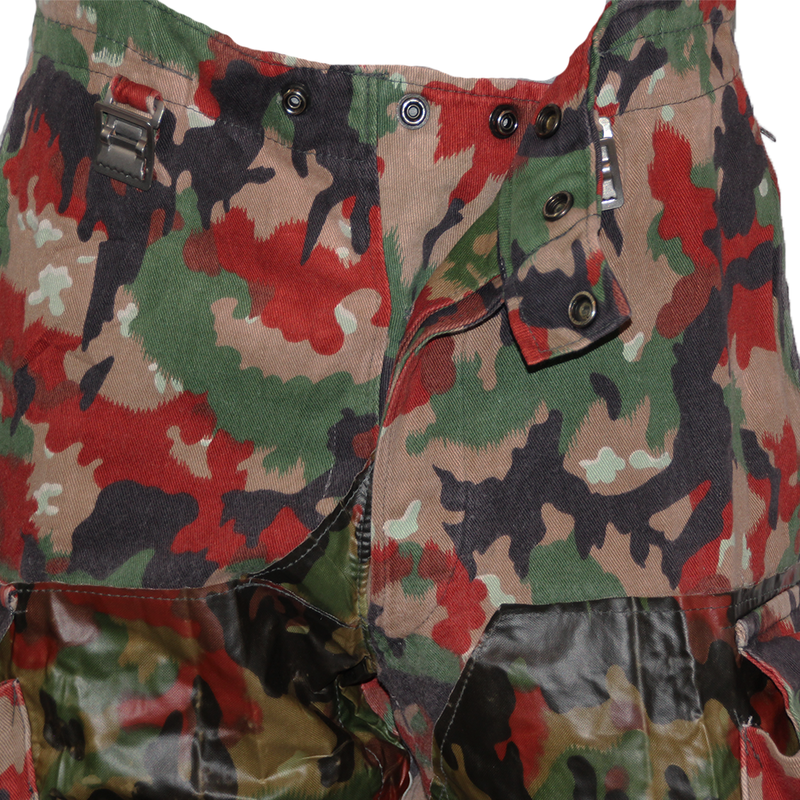 They also include a snap button fly, large snap button cargo pants. 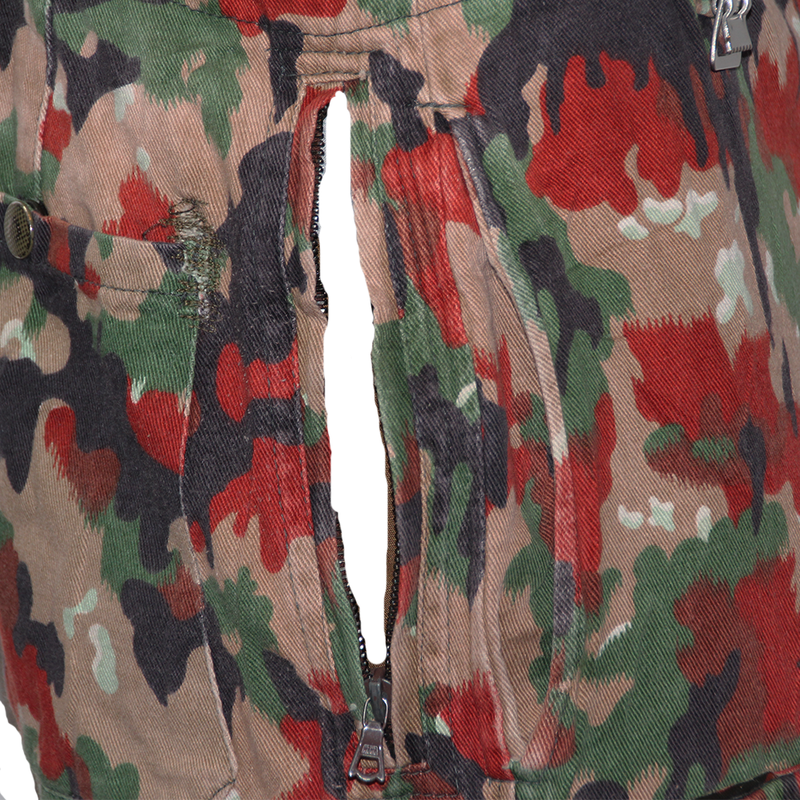 They also feature the zippered overpant side openings to access your pant pockets, if you roll that way!